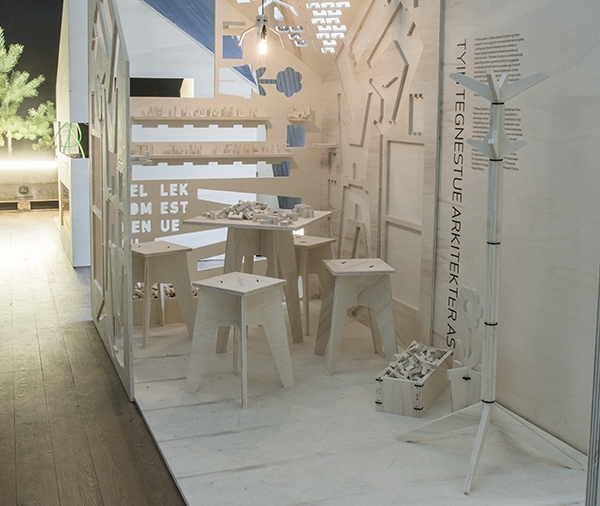 TYINs lekestue (TYINs playroom) was presented at the exhibition “Under 40. Young Norwegian Architecture 2013” at the The National Museum of Art, Architecture and Design in Oslo. The space is filled with building blocks that the visitors can use to create small structures and present these to the public. All the different parts of the space is cut from the original boards of the space. This relates to the idea of using available resources to create new ideas.